Professor Alavian received his M.D., with a specialty in Internal Medicine, from Tehran University of Medical Sciences. He began his work as a fellow of the Digestive Disease Research Center (DDRC) at Shariati Hospital from 1992 until 1994. He was ranked second in the country in the subspecialty board’s exam. Professor Alavian established the first hepatitis clinic at the Iranian Blood Transfusion Service in Tehran in 1995; that center has registered 7000 cases of hepatitis B virus (HBV) and hepatitis C virus (HCV) infection since then. He founded the Iranian Charity for Liver Support in 1995 in Tehran. He is a member of the editorial board of several creditable local and international journals. He has been the associate editor of the Journal of Clinical Virology for 6 years. He has been an advisor and consultant on national program projects for the control of hepatitis in Iran. 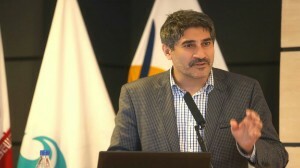 He is a member of the National Committee for Hepatitis in the Iranian Ministry of Health and Medical Education since 1995. He has been given several grants by national and international research centers for research on viral hepatitis. Professor Alavian is an experienced researcher and hepatologist who has been actively involved in various national multicenter clinical trials and basic scientific projects related to viral hepatitis over the past 19 years. He has authored/co-authored over 320 articles in local and international journals, including 240 articles indexed in ISI, 210 articles indexed in Medline, and 55 articles indexed in Persian Journals and more than 850 citations to published articles as well as 42 books and booklets for physicians and patients. He has been the principal investigator in numerous clinical trials related to the management and treatment of hepatitis C and B patients. His main interests are health policy, the epidemiological aspects of viral hepatitis and methods of integrating new protocols for the control of these infections. He is also interested in clinical trials of emerging medications for HBV and HCV, and treatment of viral hepatitis in special diseases including thalassemia and hemophilia.